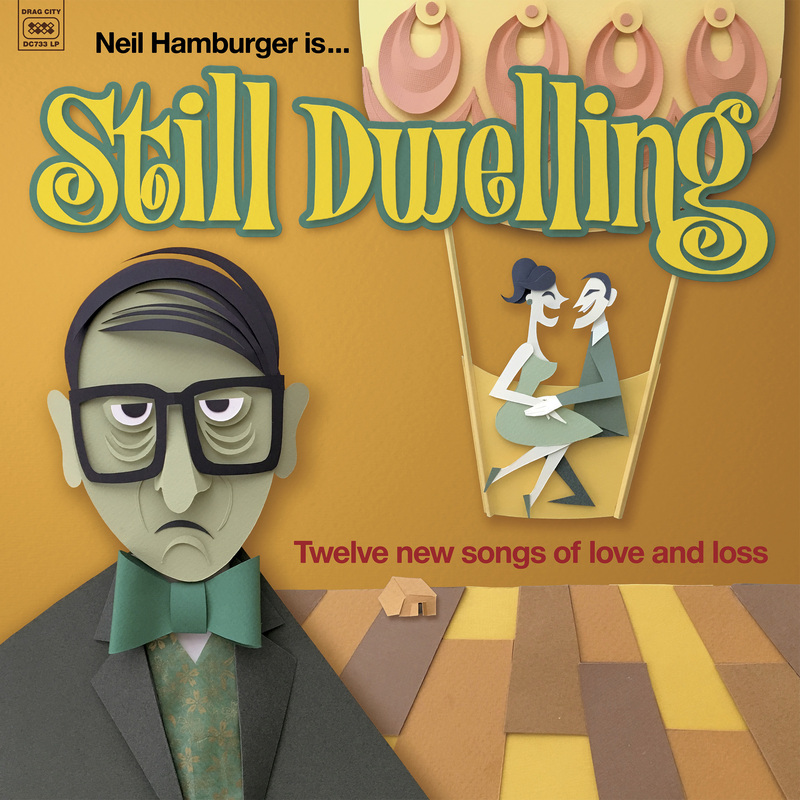 Note: This Site is UnOfficial, and not Endorsed by Neil Hamurger, un fortunately. .
Neil Hamburger's "Still Dwelling" is the newest album of at least a dozen he has made. But this one is different as Neil is backed by a full orchestra's worth of musicians and singers to make sure that the music and emotion is at the top level. Neil's guests include Jack Black and Mike Patton on a rememorable version of "Everything's Alright" that is sure to spark interest in music lovers. And "Rabbit" Bundrick who held down the keyboard spot for The Who for many decades is now doing the same for Neil's album, playing his heart out in elaborate arrangements, which means that the quality is better than on any other records of a similar price. Who could forget the great sounds of Probyn Gregory from the Brian Wilson band, well on this album (from what I have heard) he is playing every horn known to mankind and in spectacular fashion. Strings, yes Neil has them, thanks to some of the Haden Triplets (Petra Haden and Tanya Haden). Do you like saxophone? Not everyone does thanks to Kenny G who ruined it for all. But if Bar McKinnon is playing it, that's a whole different sound! And he does it with great results on this album, which I only recently heard, due to being on a budget and needing to save money for Dog food. Further more, you won't want to miss the Vibraphone of D.J. Bonebrake from the band letter "X". And the other instruments and singers, wow, this record was worth buying and worth playing again and again. I hope to one day get my copy signed. Sorry to everyone else who put out a record this month but Neil's is the one you must have. NEIL HAMBURGER MUSIC VIDEOS TO AIR ON T.V. BIG STORY: Neil Hamburger is the Star of several new Music videos currently airing on T.V. These videos were made by some of the film makers world wide. They are for a few (but not all) of the songs you hear on Neil's new album STILL DWELLING which you can buy by click on the link. It is available on L.P. Album, Cassette Tape, Compact Disc C.D, or digital Computer files. Neil Hamburger's Manager has not replied to any of my e-mails in 2013 or 2014. Neil has not said to me "Thanks for all the Hard work of keeping this Web site going, and raising two Dogs at the same time." Neil is so busy with sold out shows around the World but too busy to answer my Phone calls I guess. Too bad because I have worked so Hard to make this site win Awards, which it has won 4 Awards now, with more to come! Bananas had gotten Sick in 2012 and is STILL SICK, also we (Bananas, Marlon, and Boni) moved to another apart ment in Mesa, I am tired of Land lords who Hate Dogs, but we have had a few of those this Year, and had to move. It's too bad be cause the last place was convenint to the Laundro Mat I have been working in for 10 years, and also with in walking distance of the Dominos pizza where we would some times find old Cheese in the trash to feed the Dogs, and 99 Cents Only is near by too which is a good place to find Eggs , Canned foods, and clothe , pet toys, all very cheap. Here's hoping Neil has a Great Carere, He has Earned it. I have also Earned some thing better, in life. DONATIONS NEEDED! HELP SAVE THIS WEB SITE!!! Money, or Dog food, these two Dogs (Bananas and Marlon) expecialy like SWANSON CHICKEN POT PIES, or T.V Dinners, or old Tacos, Waffles, they like Italian food, bread sticks, Ice cream, spageti with tomatoes sauce, any thing would Do, if you Work in a resaurant, PLEASE Save any throw-away or Spoiled, ruined Food, for my Dogs. Thank You!!! Also if you work for U.P.S. or Fedaral Express, we need a Way to ship all this Food from the Resaurants, to my Dogs, if you can give us a Code Number for free shipping. WANTED: I need a Law student, or out-of-work ATTORNY that could work for FREE or for Trade (I have over 30 V.H.S. tapes of Neil Hamburger shows from 2000-2006 I could trade you), to Help SUE (LAW SUIT) my Land Lord that had turned my Dogs into the Arizona Animal welfare agency for Abuse, ILLEGALLY because these Dogs are NOT ABUSED, I'm sorry but these Dogs are LOVED more than any Dog you would ever meet, it is NOT a crime for a Dog to chew a door knob, that is how they keep the Teeth healthy, and the Door hinge came off any way, these are Happy Dogs. Sorry Mr. Gipito, you are going to lose every thing you ever had, when I am finished, suing you for Defamition of Character and harrassment. Please Contact Boni Jergen c/o This Website if you can Help. 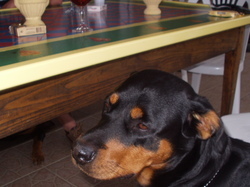 I am also Looking for Old Uneaten Food for these Dogs, not Canned Dog food which is poision, but Good-quality restaurant Food that would get thrown away, they love Olive Garden the best, the manager at the Mesa Olive Garden told me not to return and put a Pad-Lock on their Dumpster, now I will try Scotsdale or Chandler , but my Car is not running, I need a Closer supply of this Type of food, if you are in the Mesa Arizona Area please get in touch, the Dogs also like Taco's, and Waffle House food (Omeletts, Pankake, Waffles, Fried egg. ).